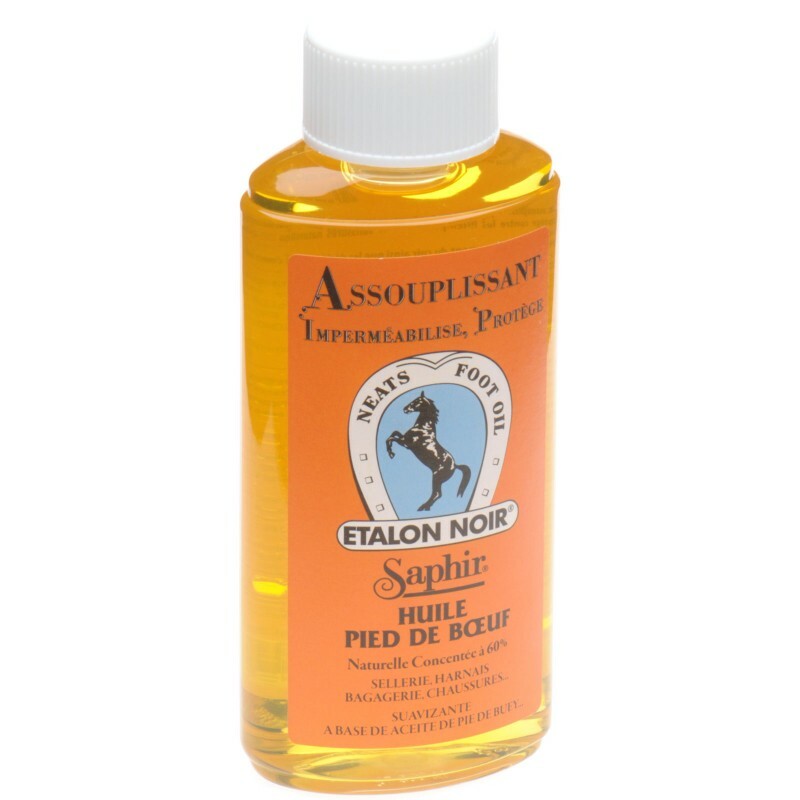 Saphir Neats Foot Oil is useful as a conditioning and preserving agent for leather. It can darken leather so it is really useful on darker, thicker leathers such as Chromexcel that we use in some of our rugged boots and shoes. It is a natural product from animals so is not recommended for vegans. Our alternative Leather Milk products are all man-made. Always be careful and apply to a test patch of leather as, with all leather care products, discolouration can occur. Bottle contains 200ml.